Today is National Simplicity Day. Simplicity Day is a reminder to look for opportunities to simplify our lives and enjoy the stress-reducing pleasures of a simple lifestyle. Hubby and I are each day looking for new ways to simpilify our lives. We have so much junk and clutter, that is is sometimes overwhelming. He doesn't like to throw anything away. We are not hoarders by any means but just have too much junk. Going through and de-cluttering a drawer, closet at a time. Been sitting on the porch most of the morning. Hubby is off today and he wants a lazy day, so that is what we are doing- being lazy. It's actually kind of nice. Our guest is still here, but he is off with his friends today. Just a beautiful day in the neighborhood. Hope you are having a marvelous Saturday! 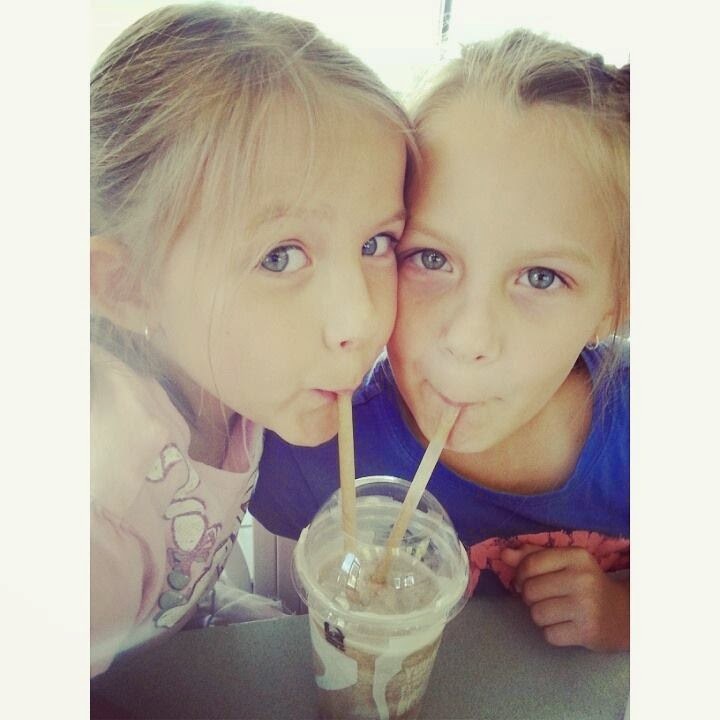 My girls sharing a slushie yesterday.